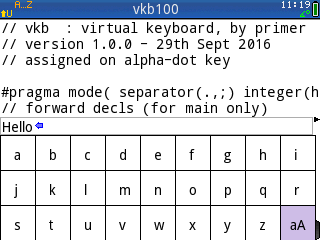 Description: On-screen virtual keyboard, which can be called from anywhere via the user keyboard. Your description is inadequate. How specifically do we invoke the keyboard? And what is an alpha-dot key? I know the orange ALPHA key but what of Alpha-dot? Please offer us more information.